Published Jun 2019 by DC. The Greatest Trick of All: Part 2 of 3 - Written by Joshua Williamson. Art by Christian Duce. Cover by Dan Mora. The Flash has arrived back in his home of Central City to discover something…off. The people are all acting strangely, including his friends and colleagues-but before Barry can figure out why, the entire Central City PD attacks! At last the great trick is revealed: the Trickster now rules supreme! 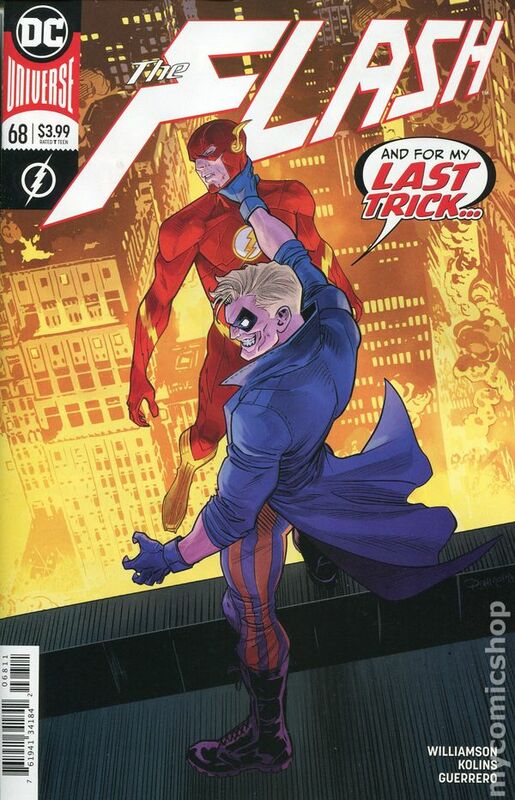 With Iron Heights as his fun-house base of operations, Trickster plunges the entire city into madness-and the Flash is powerless to save them! 32 pages, full color. Rated T Cover price $3.99.